Ribeira das Naus is the place where the caravels were once built and repaired. These ships sailed as far as Goa and Cochim in search of cinnamon and other spices. Lisbon has recently transformed the Ribeira das Naus site into a wonderful promenade that extends from Terreiro do Paço to Cais do Sodré. 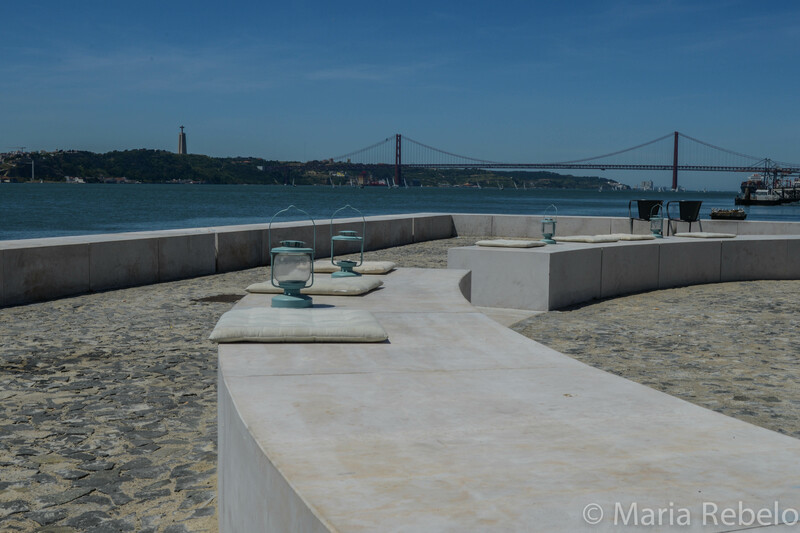 The part of the promenade close to Terreiro do Paço, has a beautiful esplanade. Here, you can drink a cup of coffee and eat a “pastel de nata” while enjoying the wonderful river view. Don’t forget to ask for a sprinkle of cinnamon on your pastel, for old time sake. Next > Cherries are in season!